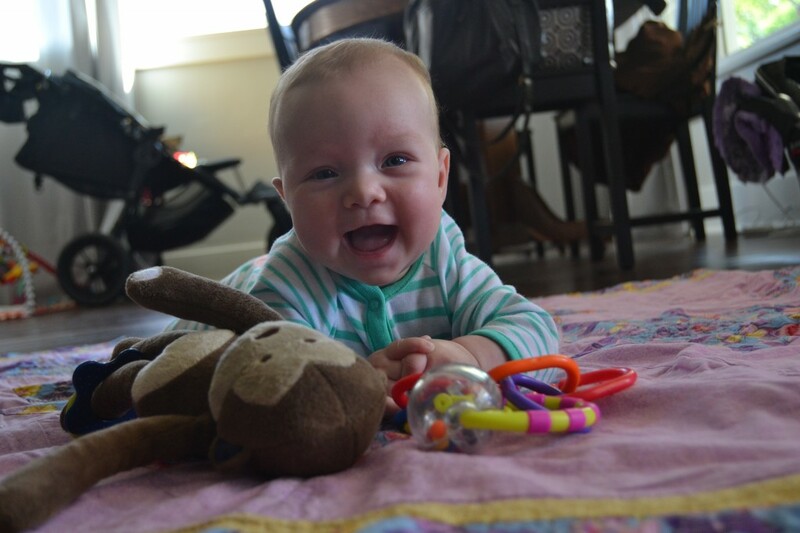 Savvy baby is 4 months old! 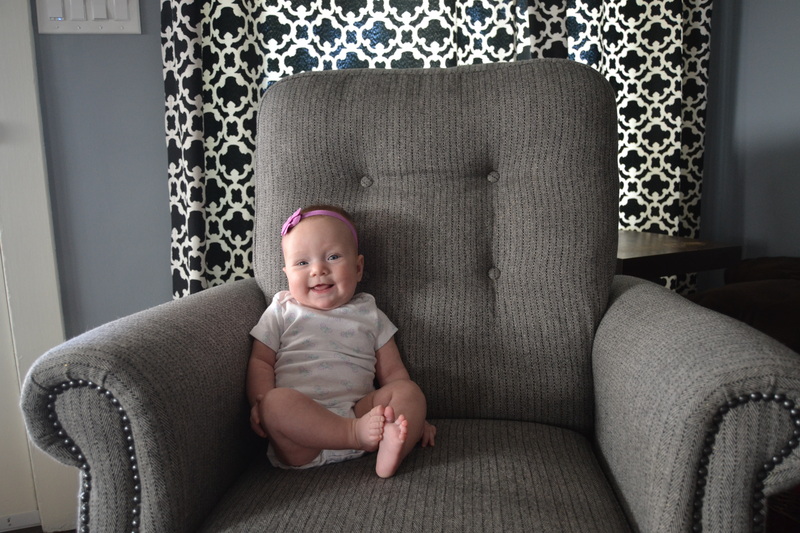 Our sweet Savvy is 4 months old! Every month she gets more and more fun. 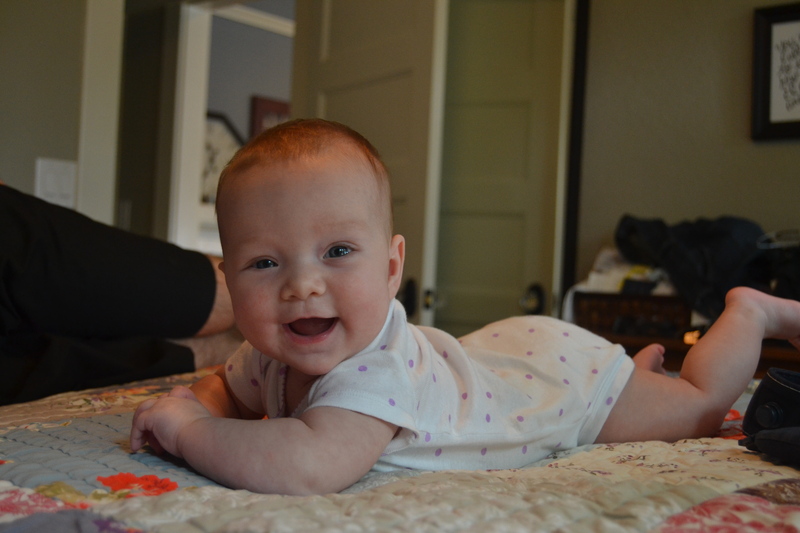 At her 4 month check-up, she weighed 14 pounds and measured 26.5 inches long. 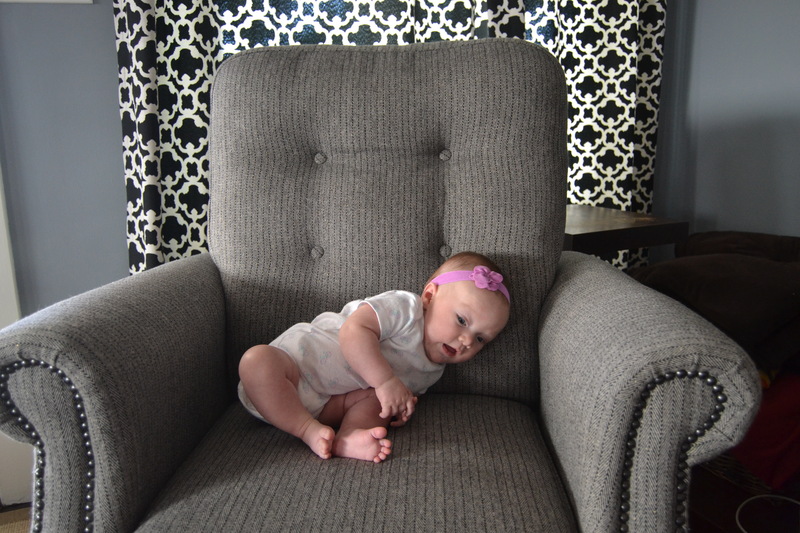 That puts her at the 43rd percentile for weight and the 99th percentile for height. Tall girl! 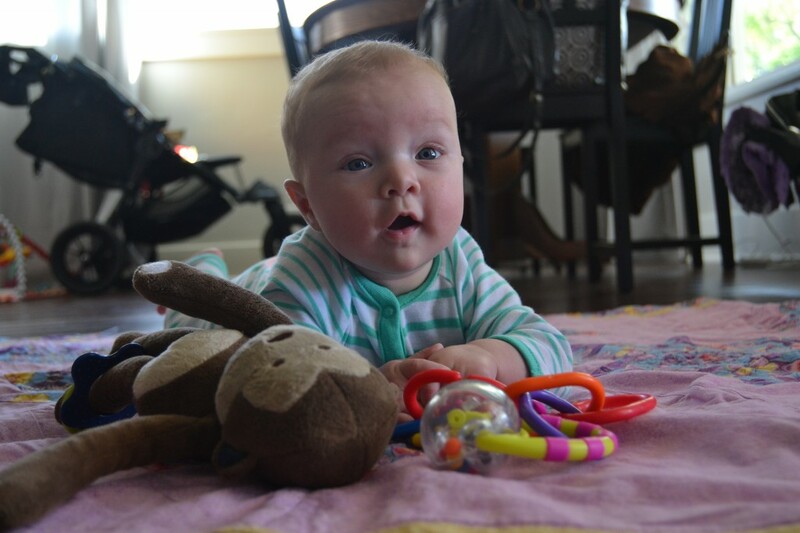 She is super verbal, especially when she’s hanging out by herself on a blanket or in her swing. 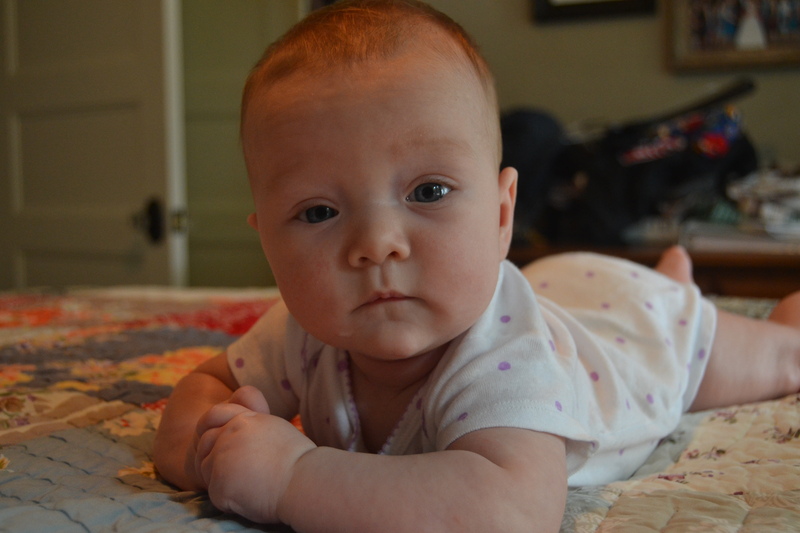 She responds when we say her name- so cool! Her lifted eyebrows look gets me every time. And she’s grabbing all sorts of toys these days. 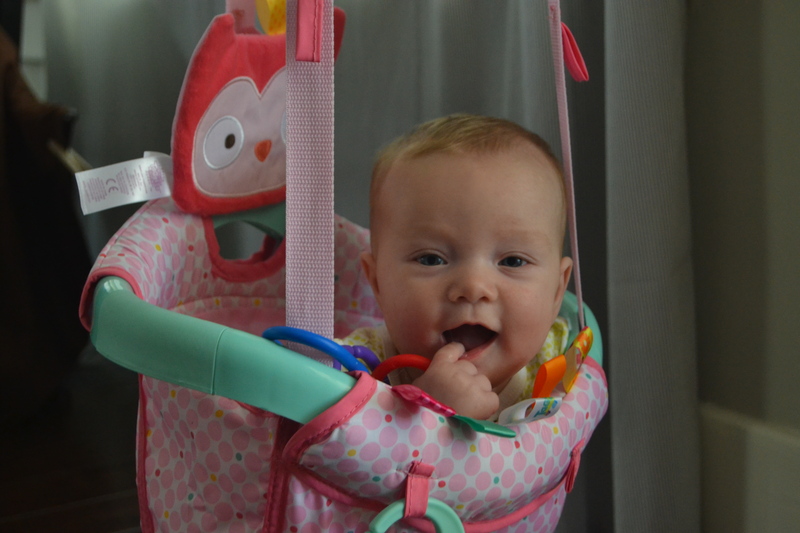 She loves hanging in her jumper thingy. 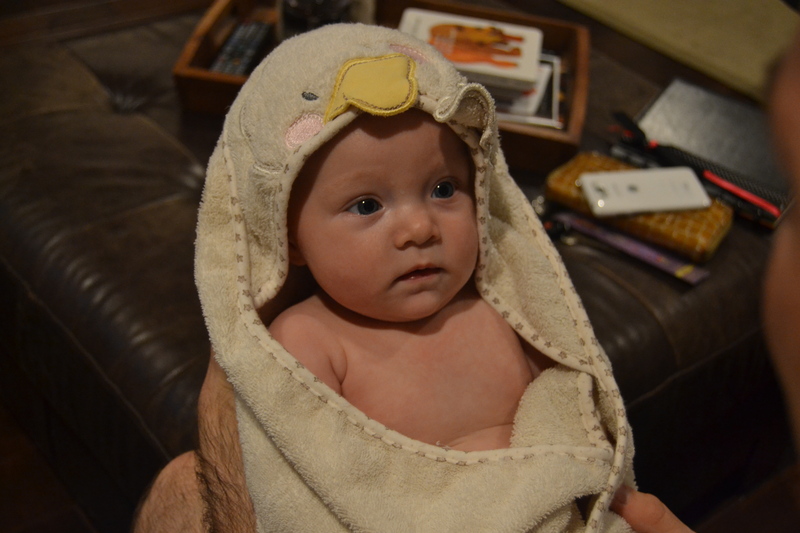 Still loves baths, and we love seeing her all bundled up in her towel. Serious. Sleepy. 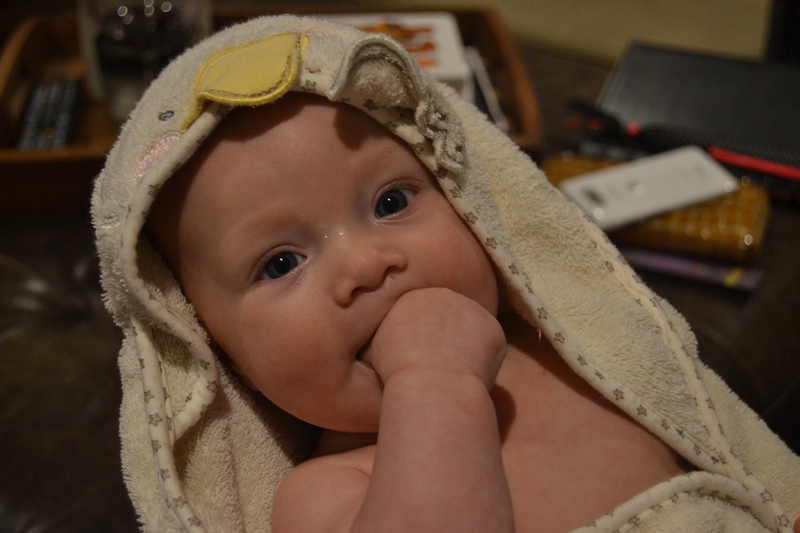 And a little drooly.